In our coexisting age of millennials and the hyper connected brands ready to serve their wants and needs, the power of experiential marketing has never been more apparent. As the events industry prepares to face a new set of challenges for 2019, experiential marketing continues to emerge as one of the most effective campaign strategies for today’s wealth of influential brands and service providers. And with new challenges to contend with, including event execution, face-to-face customer experience and brand engagement, this is where the importance of hiring the best event staffing agency comes into play. Ultimately, your choice of brand ambassadors, product demonstrators and event support staff act as the ‘face’ of your brand, so it’s crucial to choose the best possible team for the task. When it comes to securing top contractor and/or employee talent, always look for a staffing resource that not only understands your goals but aligns these with their own. Strong partnerships are non-negotiable in terms of successful activations and also maximize efficiencies in planning. But before you begin the search, it’s perfectly acceptable to test the waters and trial a selection of staffing agencies before committing to ‘the one’. By doing a little extra homework first, this will quickly help you decide which agency is a good fit for your brand’s overall strategy. It goes without saying that word of mouth feedback speaks volumes. Testimonials from previous clients are a failsafe way to identify whether or not your chosen agency has that quality ‘seal of approval’. After all, the end game here is to find a resource that responds well under pressure, can deliver as promised and will serve as a seamless extension of your core team. So it pays to go the detective route and find an agency that shares your tailored approach to finding the best people. Ask yourself, do they have a rating system that extracts the premium caliber of candidates, and can filter their search by characteristics that meet program needs? Ultimately, you’ll want your chosen staffing partner to be as specific as possible with their selection and hiring process. Because you’ll want to work with a team that knows what it takes to make a brand activation successful, favor resources with a strong background in experiential versus generic event staffing to reflect this. According to award-winning journalist Malcolm Gladwell, “Buyers make most decisions by relying on their two-second first impressions based on stored memories, images and feelings.” If brands have just 2 seconds to capture the customer’s attention before that person decides whether or not to make a purchase, all the more reason to choose an agency that specializes in experiential event staffing. By carefully investing in customer-centric staff who have not only been fully vetted and verified, but are 100% aligned with your core values, this will have a powerful influence over how your brand is perceived during and after your activation. Thinking about the single most successful trait that today’s biggest brands have in common? Trust is created in every aspect of their experiential marketing campaigns. When researching your chosen staffing agency, it pays to be wary of anonymous review sites. We all love to read five-star reviews, but it’s crucial to check whether or not these reviews are legitimate before deciding to partner up. Remember to only trust genuine reviews from verified users. Your goal is this: to make your brand’s image flawless in the hearts and minds of your customer. So when you’re sifting through the list of different staffing agencies, be sure to ask questions about the processes they have in place to maximize staff performance. Also, how do they leverage their contingency plans when the unexpected happens? At Encore Nationwide, we handle every aspect of event staffing with the utmost professionalism. And because real-time live events can be unpredictable at the best of times, our support and logistical experts will work alongside you offering practical solutions to any challenges that may arise before or during event day. As we enter 2019, you might be wondering how your brand can generate a scalable measure of success from a marketing calendar filled with exciting events? When it comes to generating buzz from a series of ideas and memorable experiences, it’s safe to say that marketers are looking at face to face as the most effective channel to deliver brand engagement. So whether your event is fit for public consumption or targets just a small group of private clients, be sure to choose an experiential staffing agency that not only demonstrates a premium level of knowledge and expertise but also places its sole focus on helping you hire the right team of professionals – event after event. Want to hire a professional event teams ready for 2019? 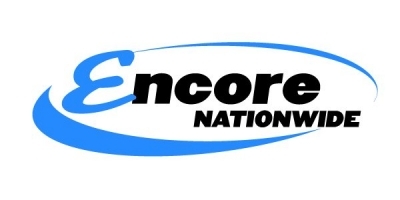 Encore Nationwide offers expert agency solutions for all your experiential staffing needs.